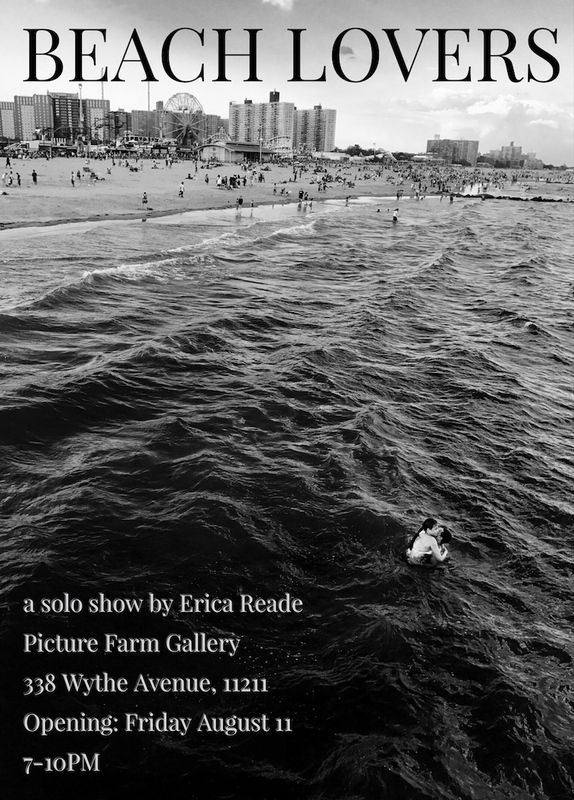 Picture Farm Gallery is proud to present Erica Reade’s Beach Lovers series, a photographic project we’ve been watching develop over the last few years. We are excited to finally be able to give this artist a spot on our walls starting with a reception on Friday August 11th, from 7-10pm in our Williamsburg gallery space. Born and raised in Montreal, Brooklyn based photographer Erica Reade is self-taught, employing both analog and digital formats. Winner of a 2017 Nikon Scholarship and 2015 National Natural Eye Scholarship at the Santa Fe Photography Workshops, Ms. Reade is a member of of the SohoPhoto Gallery and founder of Camera of the Month Club, a NYC photography collective, working in the fields of anti-violence, youth development, women’s empowerment and human rights, both locally and internationally, using the media arts to spread a message of non-violence. 5% of all sales will be donated to the Surfrider Foundation.